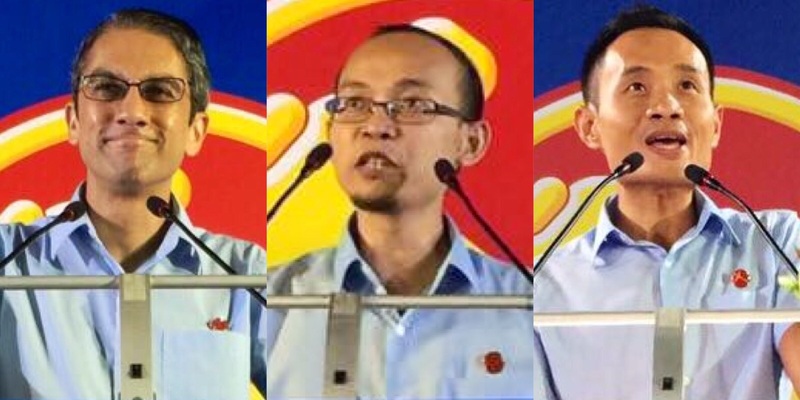 The Workers’ Party has inducted three new members into its Central Executive Council (CEC). They are Mr Mohamed Fairoz Shariff, 36; Mr Foo Seck Guan, Kenneth, 38; and Mr Leon Perera, 45. This decision was made at the monthly meeting of the CEC on 6 October 2015, pursuant to Article 19 of the Workers’ Party’s Constitution, which empowers the CEC to co-opt members into the Council. The co-option is meant to strengthen the CEC to meet the expanded scope of leadership work in the Party. The Workers’ Party will continue to develop its capacity to champion parliamentary democracy in the service of Singaporeans. The new appointments will take effect immediately. Mr Mohamed Fairoz Shariff, 36, was a member of the Workers’ Party team that contested in East Coast GRC in the 2015 General Election. Prior to the elections, he worked as an Associate Librarian at the National Library. Mr Fairoz holds a Bachelor of Arts (Honours) in History and a Master of Arts in Southeast Asian Studies, both from the National University of Singapore. He is married with three young children, and he lives in Pasir Ris. Mr Foo Seck Guan, Kenneth (符策涫), 38, was a member of the Workers’ Party team that contested in Nee Soon GRC in the 2015 General Election. He works as a Manager with the Singapore Cancer Society. He graduated with an Honours Degree in Psychology from the University of Adelaide in 2006. He is single and lives in Hougang. Mr Leon Perera (贝理安), 45, was a member of the Workers’ Party team that contested in East Coast GRC in the 2015 General Election. He is the CEO of an international research consultancy and an NCMP in Singapore’s 13th Parliament. Leon holds an Honours degree in Philosophy, Politics and Economics from Oxford University. Leon lives with his wife, daughter and son in Clementi. The Workers’ Party has made the following changes to the appointments in the Central Executive Council (CEC). Mr Foo Seck Guan, Kenneth is appointed as the Deputy Organising Secretary to assist Mr Pritam Singh and Ms Lee Li Lian as the Organising Secretaries of the Party. Dr Daniel Goh and Mr Gerald Giam are appointed as the Chair and Vice-Chair of the Media Team respectively. Mr Mohamed Fairoz Shariff is appointed as the Webmaster and will be a member of the Media Team. Ms Sylvia Lim and Mr Leon Perera are also appointed as members of the Media Team. As with the co-option of the three new members, the changes in appointments are meant to strengthen the CEC to meet the expanded scope of leadership work in the Party. The new appointments will take effect immediately.